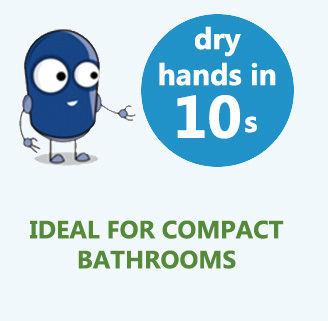 JetLite is designed for bathrooms where space is at a premium or where you need a durable hand drying solution that will take the knocks in the toughest of environments. 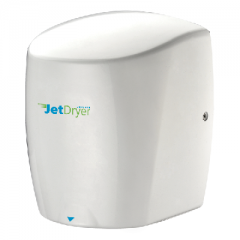 The JetLite range will save you up to 85% in annual costs compared to conventional hand dryers without compromising on performance. Need a hand dryer with water collection? Try the Business2 or Executive2 range instead. With a timed hand drying time of a market leading 10 seconds from a highly efficient 900w motor, you can be assured that this ultra fast hand dryer is equipped to do the job.